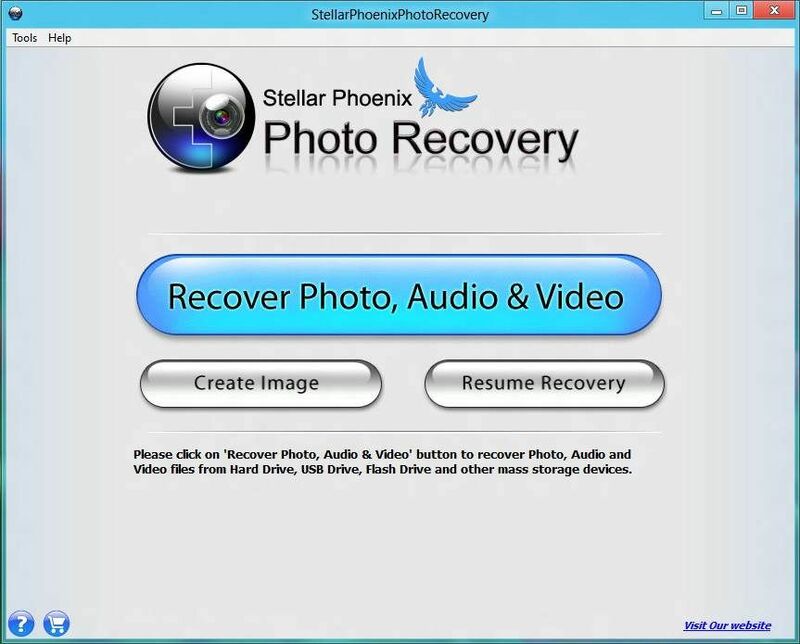 The Stellar Phoenix Photo Recovery tool has been designed specifically for recovering media files. Everyone has at least gone through the trauma of having accidentally deleted files, especially images files from their hard drives or memory cards. There's a ton of options out there that would probably recover some of the data, but what we have here is specific to media files. We liked the simple user interface of the software once we were done installing it, but is it worth your $40? Read on to find out. As a photographer who is always busy and on the move, shuttling from one project to the next, and not to mention, uses a somewhat clunky file management system, there have been numerous occasions where we accidentally ended up deleting images without copying them over to the PC. When something like this happens, realization dawns only when we want to locate those specific files and well, that’s when all hell essentially breaks loose. There are several solutions out there that claim data recovery from various media (memory cards, external hard drives, internal hard drives etc), but none have really been effective in recovering the full contents of our memory cards without a few files being corrupt. Phoenix Photo Recovery is a neat little tool from Stellar Software that can recover all popular formats of photos, audio and video from media, yes, RAW files too. Of course, it all sounds too good to be true, so we put it to the test. The user interface of Phoenix Photo Recovery is one of the simplest we’ve seen. Once it opens, it lists all drives that are connected to the PC. If there is a card reader (SD card, CF card etc) attached, it simply pops up as a new drive, ready to be scanned. If you click on advanced recovery options, you can define which type of files types to scan for, each being segregated into its corresponding media type. Once the scan completes, all the recoverable media is grouped by type and can be individually selected for saving. The user interface is extremely self-explanatory. Using the software is made super easy with only a handful of buttons, a feat that is not easy if you ask us. Stellar has managed to nail the primary requirements of most users and clubbed them into a set of buttons that are available on screen, but that doesn’t mean they’ve forgotten about the power-users. Advanced options are available simply by clicking on the “advanced” button. We ran the test on the SD card which was plugged into a card reader through a USB 2.0 interface. For starters, Phoenix Photo Recovery scans every sector on the media, meaning that it takes time. On our 16GB card, the scan took a full 30 minutes, regardless of the amount of recoverable media on it. We loaded the card up with 500MB, 4GB and then a full 16GB of media, in four data type scenarios each further broken up into two recovery scenarios (just deletion, and deletion plus overwrite). We ran the recovery with only one type of data, either image, music or video, followed by a mixed media test. For each media type, we tested by just deleting the content from the card and then running the recovery cycle and the second scenario involved deleting the data and writing the card with fresh information and then seeing how well the recovery went. In scenario 1, where the data was simply deleted, the recovery was a 100% for all media types. Even the mixed media test resulted in a 100% recovery rate. When we deleted the data followed by writing fresh files to the card, the results were a little mixed. For image types, we discovered that if the card has been formatted in camera, all data is 100% recoverable, unless you do a low level format, in which case, the software shows up no results. So if you accidentally just formatted your card, you still have hope, but if you did a deliberate low level format, you may be out of luck. 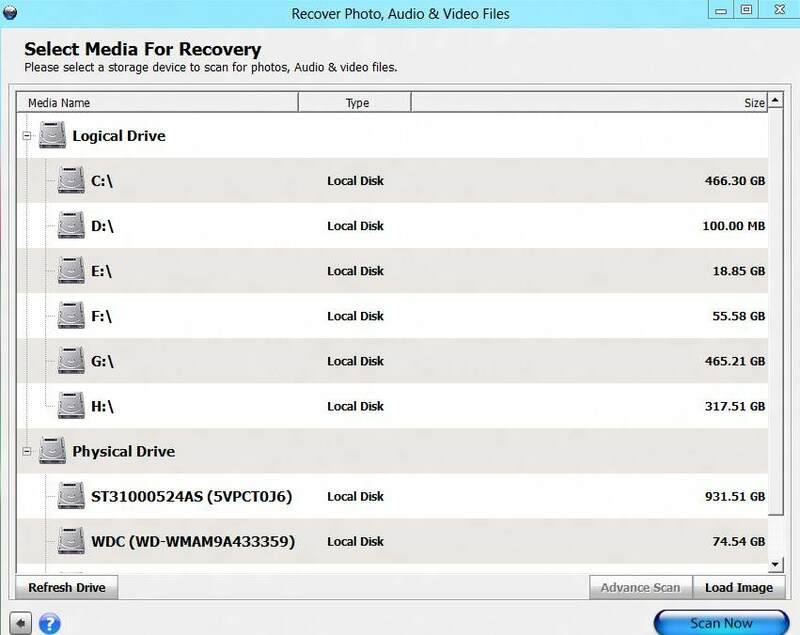 Audio and video files also showed a 100% recovery rate if they were just accidentally deleted, but if the media had been over-written, recovery was not a 100% successful even though the software showed us so. For example, we recovered an mp4 copy of Scott Pilgrim vs. The World from the SD card, which had been overwritten by various other movies. Even though Phoenix Photo Recovery was able to recover the movie all the way, but when we played it back in VLC, there were points where it would stutter and just stop playing. Thankfully, music files were a lot more co-operative, with the failure rate being under 10 files out of about 500. We suspect that the time taken for larger drives could be a lot more, but the great thing is, Phoenix Photo Recovery allows for setting of custom sector boundaries, which limits the scan only to a particular area of your hard drive, which would really shave off some of the time. One feature that we really liked was the ability to create images of media. So in case we’re a poor photographer, who only has one SD card and accidentally formatted it, but needs to rush off to a shoot, Phoenix Photo Recovery can make a sector by sector backup of the media and package into an image file, which can be mounted later for data recovery. We really liked this feature, as it would even be helpful to those who are a little absent minded or always running short on time. Stellar’s Phoenix Photo Recovery is one of the simplest and most effective recovery software we have seen. It doesn’t boast of being able to recover all kinds of data, but instead just focusses on media files. The software delivers pretty well as far as recovery goes, but it’s a little tricky with respect to how many read-write cycles the card has gone through. We also experienced some playback issues with one of our recovered video files as we noted earlier, but all in all, we’re happy about losing just one file over tens of them.